Company InFocus Corportion - a private US company, located in Tigard, Oregon. Founded in 1986, the company produces the DLP and LCD projectors, as well as large-size interactive systems with touch screens, touch screens, tablets, smartphones, for videoconferencing equipment (offers services for videoconferencing). In the past, a public company whose shares are included in the NASDAQ listing in 2009 InFocus was bought by Image Holding Corp. and is now its subsidiary company with 100% private capital. Headquartered in Tigard, Oregon. 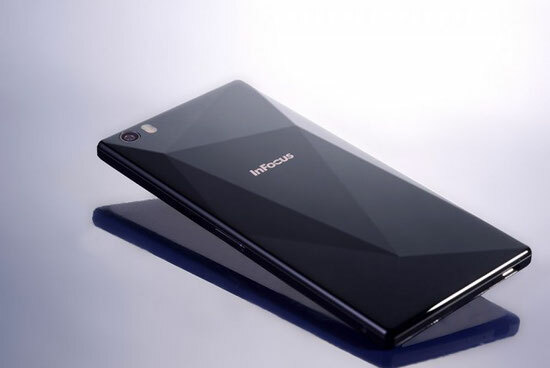 InFocus is the owner of the brand ASK Proxima - previously the company manufactures products under the trademarks ASK, Proxima and InFocus Screen Play. InFocus was founded in 1986 by Steve Hicks and Paul Gulik. With Planar Systems and Clarity Visual Systems is among the top three companies in the market of computer displays, based originally from Textronix . In 2002 the company moved to new headquarters in the city of Vilsvil, staff Origon. At that time, The company employs 1,200 people. In mid-2005 InFocus acquired TUN (The University Network), which is engaged in advertising, digital media, and flat-panel TVs for college and in 2006 sold its Submedia LLC. Later, the company was put up for public auction on the NASDAQ as the INFS. May 28, 2008 was bought by Image Holding Corporation led by John Hui, the value of the transaction amounted to $ 39 million. In October 2009 the company announced that in December 2009 she moved to the city of Tigard, Oregon, since its headquarters was too big for relatively few staff. At the time of moving personnel decreased to 110 people and took a little more than half of the office. By 2012, the staff of the company has been further cut and numbered only 90 people, and revenues were $ 150 million. By 2014, in the InFocus had 120 employees, and the company became one of the top 25 Oregon companies with technologies developed within the state. InFocus Company produces a wide range of products designed for different application areas - education, business, public corporations, home users. production of projectors is the main business. The range includes models of all major categories: ultra-portable, short-throw interactive, office and education, for major events, home theater - from entry-level to sophisticated professional with interchangeable lenses. InFocus projectors are available with brightness up to 8300 ANSI lumens and a resolution up to WUXGA. In recent years, in the light of the most pressing contemporary trends in its range also includes Collaboration Technology format devices: large interactive Mondopad system, touch-screen computers BigTouch, touch screens JTouch, systems MVP100 video conferencing, as well as QTablet tablets, the accessories, peripherals and software for digital signatures and video calls. 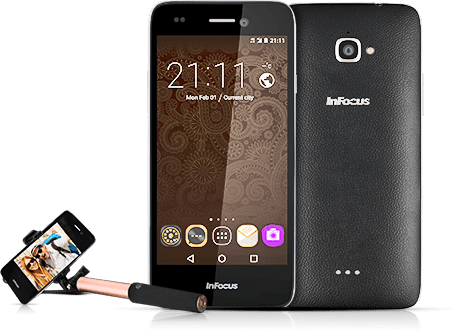 Since 2013, InFocus is involved in a joint project with the Taiwanese company FIN Mobile LTd for the production of smartphones.